So, now is the time when your phone will be governing the entire electrical appliances and will monitor the electric consumption as well. Yes, the world of IOT is making the execution of the things very faster and is modernizing the concept of automation. What If you had a really tiring day at office? Now you will switch on the AC, tube lights, TV, Coffee machine and tracking their consumption is yet another headache lined up in the queue. So here we will be telling you how to simplify these daily chores with just a single IOT mobile app. Now this time we are not only making the mobile app smart but indeed this time we will be making the electrical plugs smart. Yes, we are taking about the D-link, the smart plug that had actually transformed the way we used to control day to day activities. Certainly, for dealing with such smart appliances we need the smart and excelled app, but how we can develop one? Well, for this keep reading the post and you will identify the best development procedures that are used in engineering the best smart plug mobile app. The next question -What is a Smart switch? The Smart Switch or precisely, the coded OLED and LCD devices that have the power to combine the operability of the switch with that of a mobile app. So, instead of switching plugs for different appliances, operate them within a one switch. Now what does that mean? This means that now you can operate all the devices with just a single plug. Interesting isn’t. Now you are starting the mobile app development. So what we first need to do is to finalize the segments and the basic features of the app. User Login: User can login with Google Plus and Face book. They can access all the functionalities of app upon login into the app. Manage smart plugs: User will be able to view list of all the configured smart plugs and will also be able to configure new smart plugs as well. Configure Smart Plug: The mobile app and plug are connected with the same Wifi. Tap the smart plug and login with wifi credentials (Username & ID). On successful connection with wifi, smart plug will be configured with application. 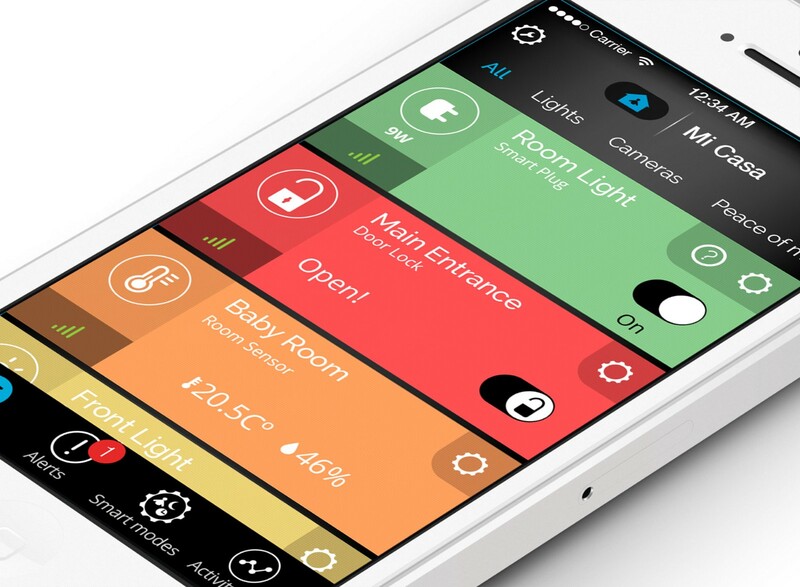 User can monitor all the configured smart plugs and can turn them On/Off. Later date and time can be scheduled as well. In Case Internet access is not present, the device & mobile app will also be able to communicate on Wi-Fi protocol where device will act as Wi-Fi router. Login Module: Using this module, Admin would be able to access the Admin Panel with User ID (Email ID) and Password. Dashboard: The page will provide the summary details of each section along with the link and the number of users to navigate to the specific module. Threshold Current: This feature analyses the threshold current in watts. If the energy consumption of devices goes above the threshold current, the users are notified and the device is highlighted so as keep the user informed. 2-step authentication process: For establishing a more authenticated connection, two way authentications are used for monitoring and controlling the devices. Smart Remote Control: The entire appliance can be controlled while being at the remote place as well. Push Notifications: The users can be kept informed about the updates in the software versions of smart plug or can be informed about the appliances connected. Power scheduling: The timers can be set for the appliances and they can be switched off even when you are away. Overheat Protection: The app notifies the user as soon as the appliance heats up or is being operated since a long time. Energy Use Statistics: All the statistics related with the energy consumption are displayed so as to allow the user to track the electronic appliances. Every app development scenario comes with its own set of challenges. The question is how to deal with them? Well, simple by harnessing the concept of the app development from scratch. Below are the three major challenges that come in the way of smart plug app development. Therefore, adopt the right technical parameters and carry an extensive research so as to combat with these development hindrances. This was one of the key challenges while developing the smart plug app. It was difficult to understand the hardware internals and the gateways controlling the switch. Making an multi- purpose app for controlling all the switches was very tedious, as high level of coding standards were implied for making the app smart enough to deal with all the appliances at a single time. Undeniably, the app work with the wifi networks, but at the same time all the relevant data is stored on cloud servers. Therefore synchronizing the data with the cloud served and the data accessed over the wifi was very challenging. Obviously, it is must that you implement right technological standards is a must while developing a robust and sophisticated smart plug Mobile App. Making a smart plug Mobile App is slightly different from other mainstream applications. App developer needs to be aware of the technicalities and about the system that works before investing in this genre. MQTT Protocol for communication with the device & server that are connected with different local area networks. MDNS/NDS protocol for establishing the communication between Smartphone & device with the same Wifi and are connected within a same local area network. Owing to the current scenario, the demand for smart plug mobile app is likely to augment. Smart plugs and switches actually rekindles the process, people used to monitor their home appliances. Well, we at Octal IT Solution know all the ifs and buts required for developing a sophisticated IOT Application. So, if you are looking for the next opportunity for making your home smarter, we are there to help you in just the right manner and the right approach required for smart plug app development.